What materials can a jigsaw cut? What are the basic parts of a jigsaw? 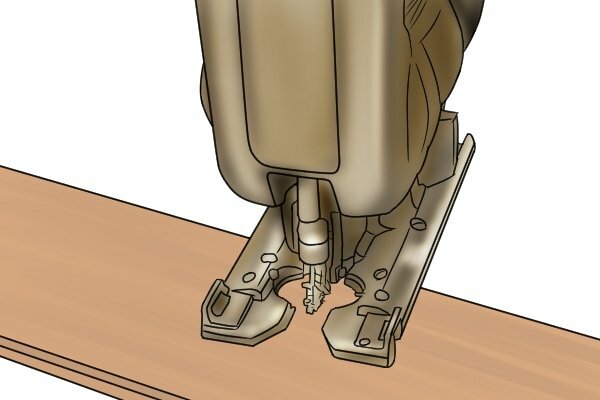 What are the different types of jigsaw handle? What additional features can jigsaws have? How does a jigsaw work? What are the different types of jigsaw? What is the shoe of a jigsaw made of? What jigsaw sizes are available? What is a jigsaw's grip circumference? How much do jigsaws weigh? What is the cutting depth of a jigsaw? What is the stroke length of a jigsaw? What is the speed of a jigsaw? 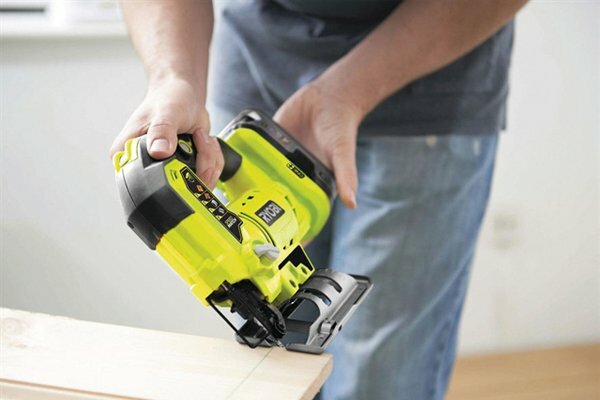 What is a variable speed jigsaw? At which speed should you use your jigsaw? What is the power of a jigsaw? What is the voltage of a jigsaw? Which jigsaw voltage should you choose? 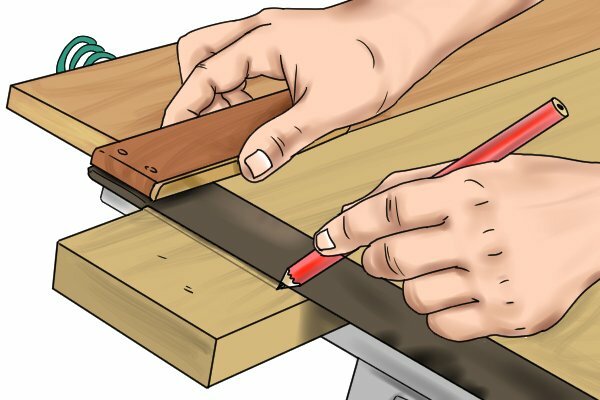 What are the different types of jigsaw blade? 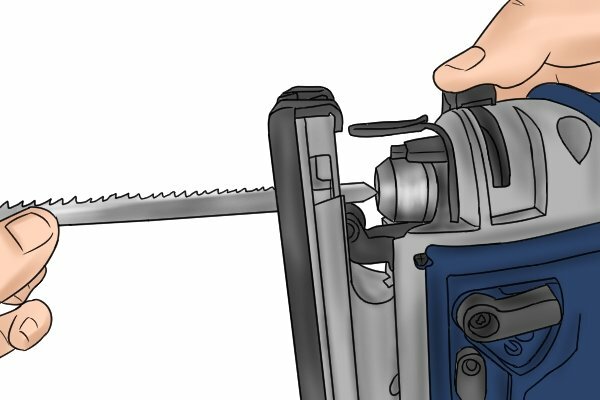 Which jigsaw blade should you choose? 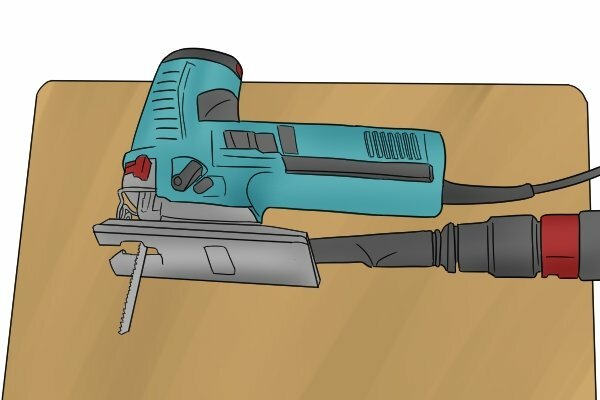 When should you replace the blade of your jigsaw? Can jigsaw blades be sharpened? What are the different types of jigsaw guide? Short cuts are the easiest type of cut to make with a jigsaw. They can be carried out freehand, without the aid of a guide or straight edge. 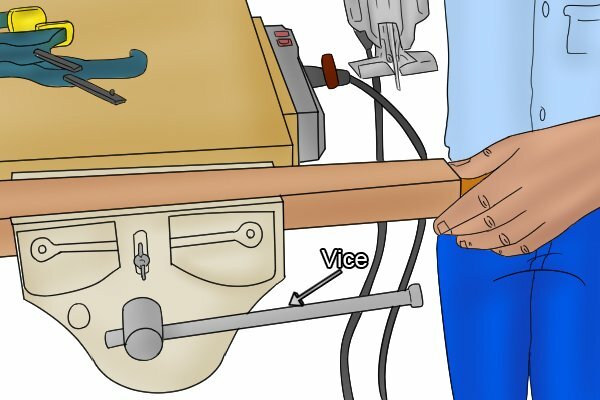 However, as with other cuts, you should make sure that your workpiece is held securely in position with clamps or in a vice. Choose your blade according to the material you are working with and the finish you require. Install it in the blade clamp of your jigsaw. For more information, see Which jigsaw blade should you choose? and How to change the blade of a jigsaw. With a pencil, mark on your workpiece the line you want to cut. Line up the jigsaw blade with the line you have marked and position the front of the shoe on the edge of the workpiece. Then, turn on your jigsaw. Making sure the shoe of the jigsaw is horizontal with the workpiece, slowly move the tool forwards along the cutting line. Support the off-cut in your free hand and advance through the material. Increase the cutting speed if necessary. Continue until you reach the end of the cutting line. Then turn off your jigsaw. Allow the blade to come to a complete stop before putting the tool down.